Many of you asked how I manage to keep my hair looking healthy despite all of the chemical processes and heat styling I put it through... really there isn't any other way apart from getting treatments done in hair salons, and paying attention to using the right at home hair care for maintenance. Of course, diet plays a huge part too but we all know that is also the hardest part to stick to. Today, I'm gonna introduce to you guys two ultra-rich and luxurious products for your hair that are perfect for a pampering session at home. 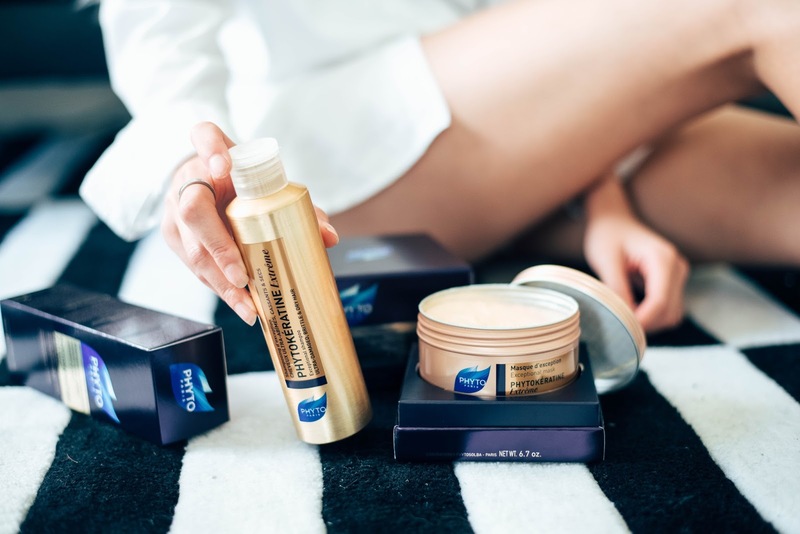 The Phytokeratine Extreme Exceptional Shampoo and the Phytokeratine Extreme Mask. These 2 products are formulated for Extremely dry and brittle hair . So you can imagine how potent the ingredients are in terms of repairing and hydrating your strands! Now let's talk about packaging first. Most of Phyto hair care products come in this really sturdy metal bottle which I really love because it also means that those nasty chemicals from our usual plastic bottles aren't gonna be mixed into the contents inside. On top of that, the gold color packaging just screams so much class! Phytokeratine Extreme Exceptional Shampoo transforms into luxurious foam that cleanses my hair once I work it in. I love the foam it gives off because it is extremely buttery and creamy, coating each strand of hair very well without much tugging and effort. This 'exceptional shampoo' contains a potent concentration of baobab oil and sapotte butter which are twice as rich in essential fatty acid as shea butter, which we all know is known to be super rich and good for hydration. This is twice as potent, twice as rich! I used the shampoo followed by the treatment mask as per normal; towel dried my hair a little and used the hairdryer on the lowest heat setting. Honestly, the results were very impressive! Of course, I didn't only use these 2 products (in combination) for just one time before I got these results, I used it for at least a week and saw an overall improvement in the change in the health of my strands. 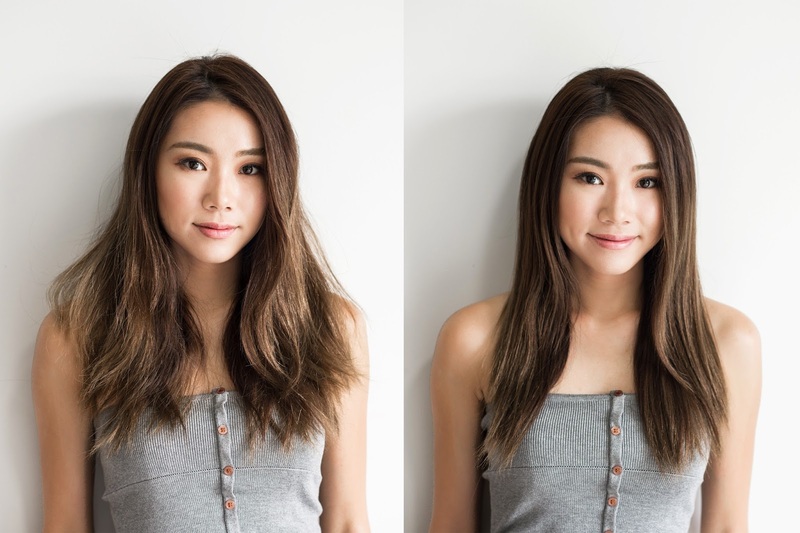 The photo below shows the smoothening effect and manageability of the Pytokeratine Extreme Exceptional shampoo and the Phytokeratine Extreme Mask on my hair. That, I can definitely see in just one wash! It is said that using it regularly would relive complete nourishment and restores the hydrolipidic film in the hair strands, even the driest, most porous hair is renewed, regaining silkiness and suppleness. My hair on the left had been unwashed for 2 days, contained lots of hairspray and dry shampoo, and the one of the right is after 1 wash (after 3 weeks of usage), blown dry with a hairdryer on the lowest heat setting. Not only are its effects very clear to the eye, it also smells amazing! The hair mask has a subtle nutty scent to it that doesn't linger for too long and isn't too sweet nor over-powering. Overall, I really like these 2 products and they are one of the most luxurious hair care products I've used at home. 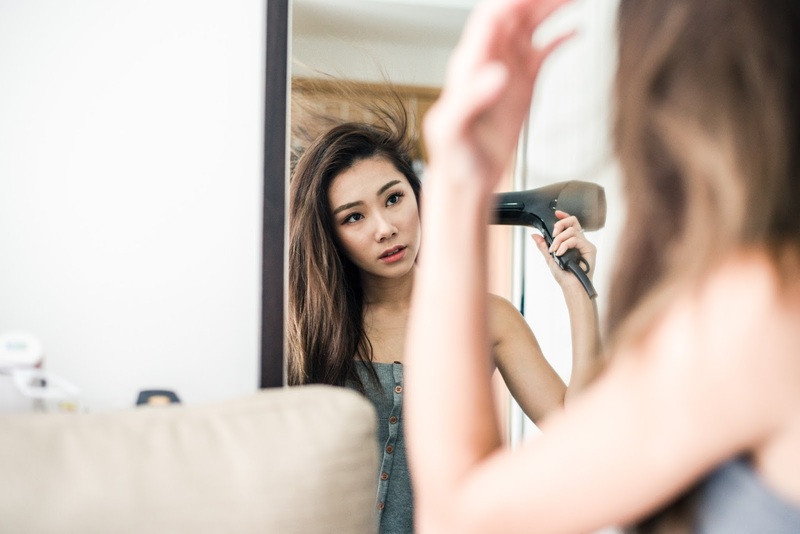 While they are not the cheapest in the market, it contains a ton of really effective and potent ingredients that can help revive the driest and most unmanageable hairs. So for that, I'd say the money is well-worth it! I would recommend them to those that have the budget to spend and for those that have very dry hair. 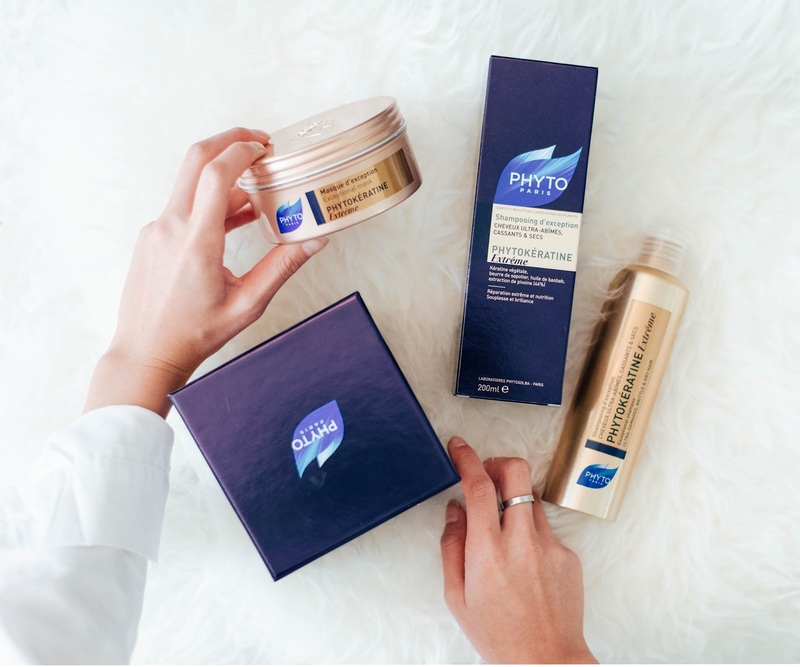 So if you're in the market for a good shampoo and hair mask, you can try out the Phytokeratine Extreme Exceptional Shampoo, and the Phytokeratine Extreme Mask. (click on the link) to learn how now! Products have been sponsored by Phyto , all opinions and reviews are my own.